Click here to visit Nancy's Research Gate profile. Biography - After receiving her BA in Psychology from UCLA, Professor Collins completed her PhD in Social Psychology at the University of Southern California. She returned to UCLA for a Postdoctoral Fellowship in Health Psychology, and then served on the faculty at the State University of New at Buffalo from 1993 to 1997. Dr. Collins joined the Psychology Department at UCSB in 1997. 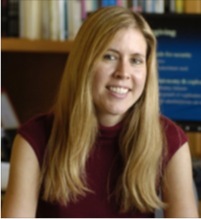 Dr. Collins includes among her professional honors the Society for Personality and Social Psychology (SPSP) Theoretical Innovation Prize (2007), the Harold J. Plous Award for outstanding contributions to teaching and research at UCSB (2002), and the Young Investigator Award from the Close Relationships group of the Society of Experimental Social Psychology (1991). 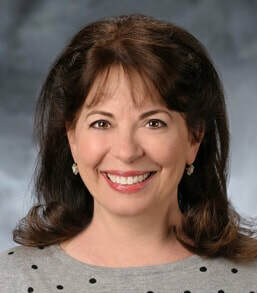 She is a Fellow of the Association for Psychological Science (APS), the Society of Experimental Social Psychology (SESP), and the Society for Personality and Social Psychology (SESP). Dr. Collins has also received numerous honors for excellence in teaching and service including an Academic Senate Outstanding Graduate Mentor Award (2017) and an Academic Senate Distinguished Teaching Award (2004), three Outstanding Teaching Awards from the UCSB Residence Halls Association (1998, 2010, 2011), and the Sarah Miller McCune Service Award (2013). Dr. Collins is currently Chair of the university Human Subjects Committee and the Quantitative Methods in Social Sciences (QMSS) program. She teaches courses in close relationships, research methods, introductory statistics, multivariate statistics, and structural equation modeling. Her research has been funded by the National Science Foundation, the National Institutes of Health, and the Fetzer Institute. Research Interests - Dr. Collins’ research lies at the interface of close relationships, social cognition, and health psychology. Her research explores the social and cognitive processes that shape close relationships in adulthood, and the impact that these processes have on health and well-being across the lifespan. 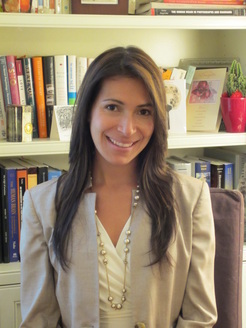 Within these broad domains, her current work is focused on three main topics: (1) Social support processes in couples, with emphasis on the factors that predict effective support-seeking and support-giving behavior in close relationships, including neuroendocrine and cardiovascular mechanisms. (2) Psychosocial predictors of health and well-being, with emphasis on the psychological and biological mechanisms through which close relationships foster resilience and thriving. (3) Social perception processes in close relationships, with emphasis on the ways in which working models of attachment shape how individuals construe their relationship experiences. Biography & Research Interests: I was born and raised on Long Island, just outside of New York City. I attended Cornell University as an undergraduate, and came to UCSB immediately following graduation in 2011. I am broadly interested in the dyadic processes involved in relationship maintenance. My research questions include: (1) How do partners synchronize verbally and behaviorally when they discuss sensitive issues (such as relationship conflicts and personal stressors)? Does this synchrony help them cope with these struggles? (2) Can partners regulate implicit signals of attraction (i.e. behavioral mimicry, sustained visual attention) when they come into contact with tempting alternatives to their romantic partner? (3) How are partners' mental representations of one another affected by communication, psychological distance, and relationship goals? Outside of academia, I'm interested in most sports, particularly basketball, bowling, boxing, and anything that can be played on the beach. I am also an avid consumer of stand-up comedy. I really enjoy traveling, other people's dogs, word games, and confecting (making candy). 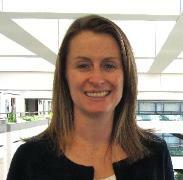 Click here to visit Lauren's Research Gate profile. Biography & Research Interests: I'm originally from Chicago, where I earned my BA in Psychology at DePaul University. Borrowing from multiple literatures including interpersonal perception, prosocial behavior, and close relationships, my research is dedicated to the study of empathy in its many forms (cognitive, affective, conative). 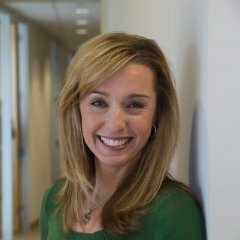 I'm interested in identifying individual differences in the motivation to attend to a distressed other's needs, as well as contexts in which a perceiver's ability to understand another's innermost thoughts and feelings ("empathic accuracy") most effectively promotes positive relationship outcomes. A second overarching goal of my research is to examine how these coordinated empathic processes facilitate or hinder prosocial behavior in close relationships. In my spare time (never) I enjoy sewing, driving the beautiful coast of California, and drinking lattes. Biography & Research Interests - Chris was born in southern California, but grew up in central New Jersey. He received his BA in psychology from Oberlin College in 2014. While at Oberlin he worked as a research assistant with various professors on topics such as children’s social networks, homophily, academic and social goals, and word aversion. He then spent a year working as a lab manager in the lab of Professor Travis Wilson and continued working on a long term longitudinal study examining children’s social networks and social and academic goals from multiple perspectives. His research interests include emotion, close relationships, and well-being. Chris divides his time between Shelly Gable's Emotion and Behavior in Relationships lab (EMBR) and Nancy Collins' Close Relationships Lab (CRL). 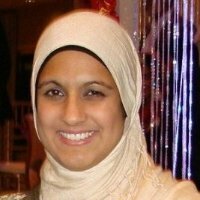 Biography & Research Interests - I grew up in Maryland, and I earned my BS in Psychology and Decision Science at Carnegie Mellon University in 2017. In my time at Carnegie Mellon, I have worked as a research assistant for Brooke Feeney's Interpersonal Relationships Lab. My main research interest involves how different kinds of motivations, such as intrinsic and altruistic motives, interact with each other to affect relationship outcomes. Along with developing my research skills and my knowledge base, I also have a long-term goal of raising a dog. Outside of research, I also enjoy playing video games, spending time in coffeehouses, and exploring this new world that is the west coast. Biography & Research Interests: Will graduated from Smith College in 2009 with a B.A. in Psychology and spent the next two years working in a variety of jobs including as a research assistant at the University of Hamburg. 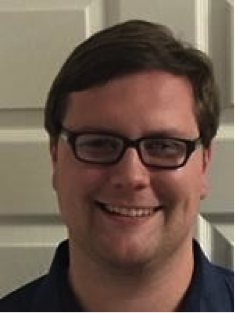 In January 2011, Will began working for Dr. Jim Blascovich at the Research Center for Virtual Environments and Behavior (ReCVEB) and now continues to work with Jim as a graduate student in social psychology. Will's research interests center on the psychophysiological dynamics of social threat. His current work explores these processes in the domains of homophobia, ‘coming out’, interracial interactions, and gender-based self-construal. Will is also interested in psychophysiological methodology and spends a considerable amount of his time working on developing new methods for assessing cardiovascular reactivity. With the Close Relationships lab, Will is collaborating on a virtual reality project examining people's psychological and physiological responses to observing their romantic partner (or a stranger) engage in a dangerous plank-walking task. This project seeks to uncover physiological markers of compassion and caregiving motivation.